Problem was the daughter was mighty poor. So for over 70 years they took care of this building, using it mostly just for worship. 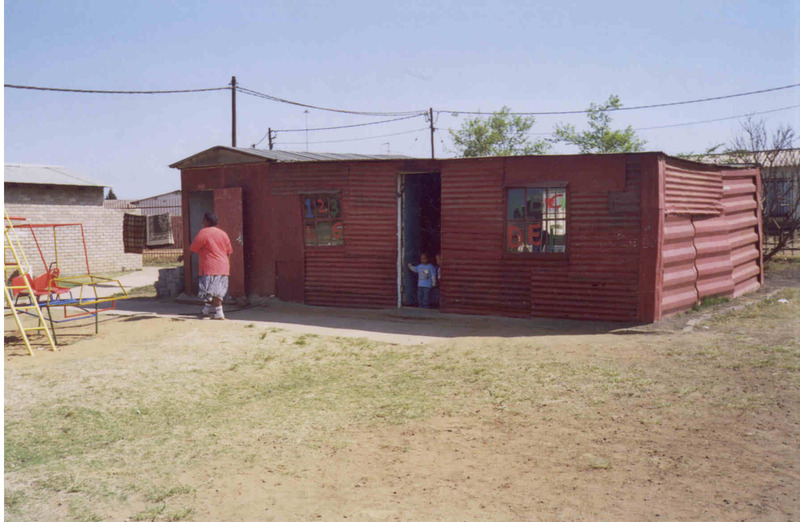 Ultimately, however, they wanted it to be a place that served the poor settlement all around them. On their own, one small step at a time, they began to renovate the building. 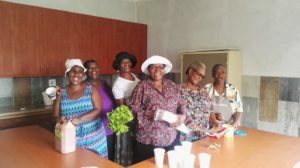 They began a meals program for hungry neighbors, a sewing center, a home-based care program for the disabled and terminally ill, and an HIV/AIDS program. This is the sort of initiative that Side by Side is looking for; folks taking steps on their own to build their community to serve their neighbor. Without a facility these services cannot happen. But with one it can become a place of help and solace for a poverty stricken community. That’s what’s happening at Munsieville. and a computer lab so they could have an after-school drop-in center where hungry kids can have a meal and the opportunity to study, sharpen their computer skills, research, and read in a safe, warm, and loving environment. 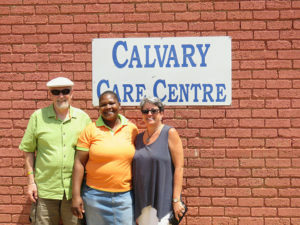 The town of Aliwal North sits in a beautiful river valley of rural South Africa’s Eastern Cape. 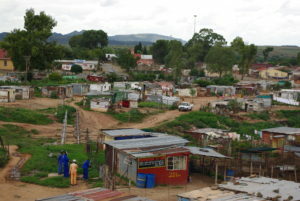 It is a community of two worlds; a small, white, mostly middle class population, and a majority of desperately poor families, packed into a collection of corrugated shacks, each one housing eight to ten people. 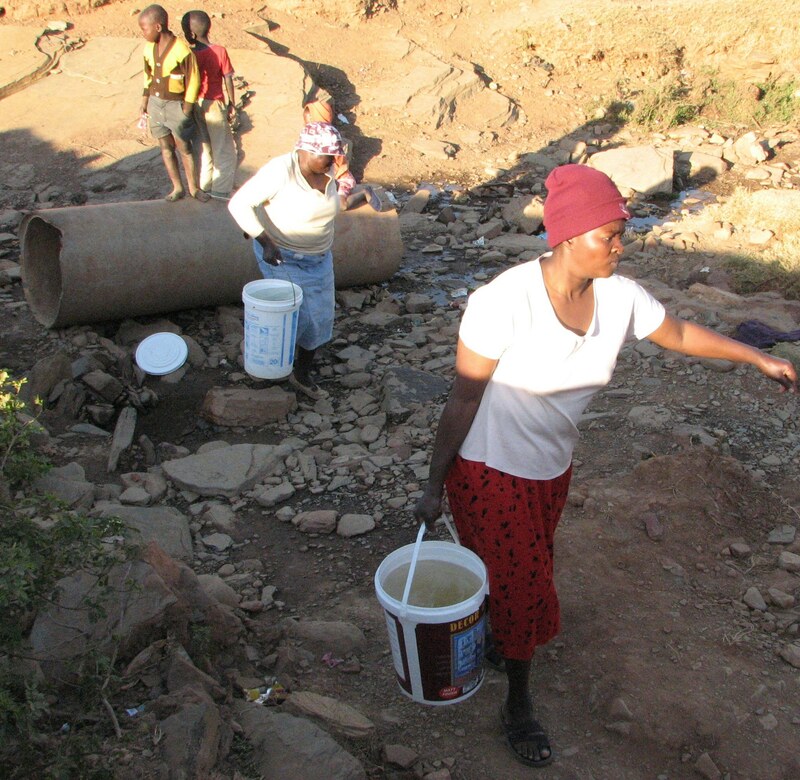 There is often just one water tap and one outdoor pit toilet for an entire community. Pastor Bradley had no money. But he had volunteers, a good dose of ambition, and an abundance of neighborhood goodwill. 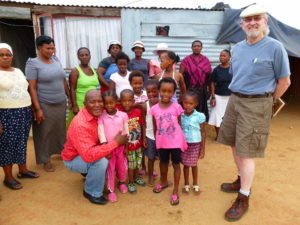 You can see what he and his congregation were able to do in less than a year – on a shoestring. 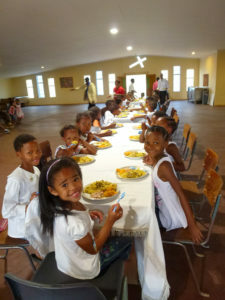 This addition to the church serves as a community center, and has a full kitchen for the continuation of the meal program for kids. 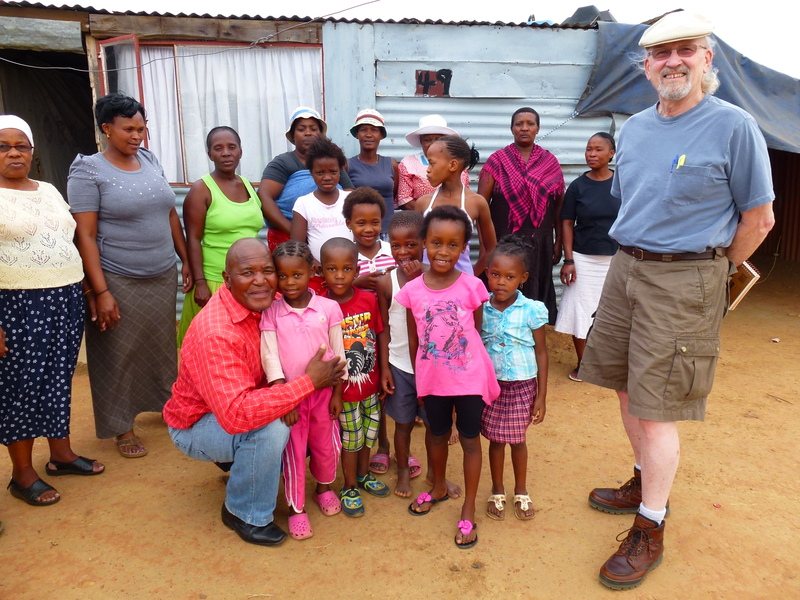 Your donations helped Pastor Stoffels complete this project for only $20,000. 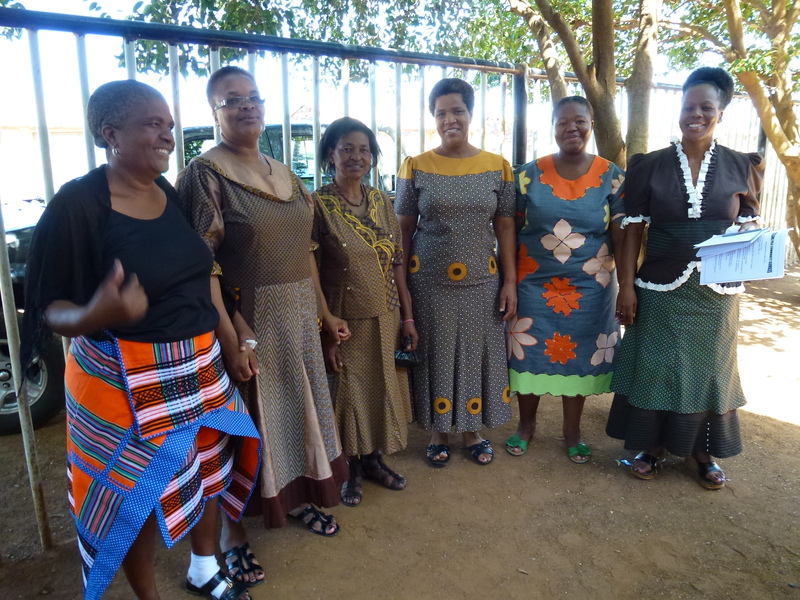 Side by Side has worked with churches in the townships of Heilbron, Klipkop and Sebokeng to help establish similar Community Centers. 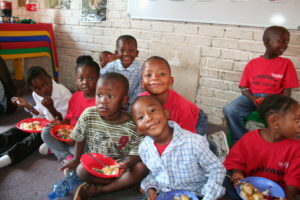 The desperate plight of far too many South African children is heartbreaking. 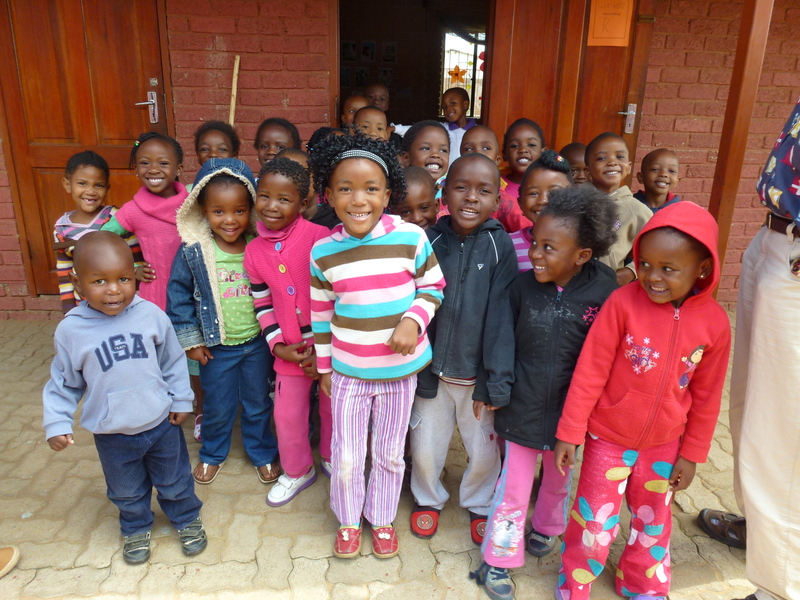 Orphans suffer from AIDS and malnutrition, and others have parents who are fortunate enough to find work, but have an urgent need for daycare. 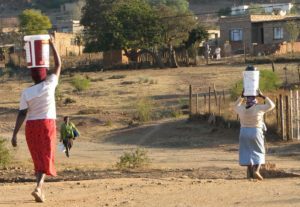 In the township of Evaton Noord, local church members were doing all they could to care for the children of their community, but with meager resources, they knew it was woefully inadequate. Determined to do more, the Evaton Noord URCSA Church raised their own volunteers, pooled their resources, and with the help of Side by Side, partnered with members of the community to built a new Early Childhood Development Center to provide a facility to meet this desperate need. 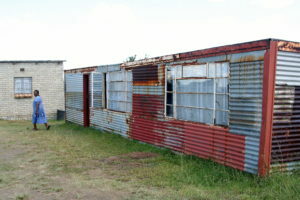 They patched together a corrugated shack with no electricity, newspapers stuffed into the gaps in the siding, and nothing but an old mattress on the floor. 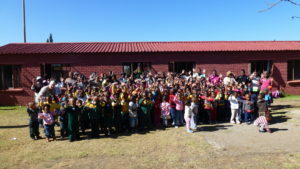 Every day, 60 children filled the single room. This new facility with four classrooms, restrooms and kitchen has operated at near full capacity since it was built in 2006. With 100 children enrolled, trained staff, and a well maintained facility, the center is an excellent example of a successful Side by Side partnership. Malnourishment is prevalent among the children throughout the settlements. 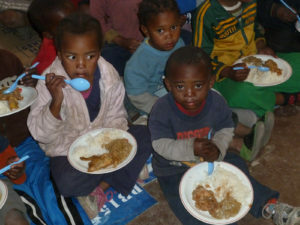 Side by Side has supported many programs that help provide desperately needed nutrition to young South African children. In Evaton Noord, Aliwal North, and Sebokeng, Side by Side has come alongside Champions Flora Melaong, Bradley Stoffels and Mpho Molakeng to subsidize their effort to feed thousands of hungry boys and girls. 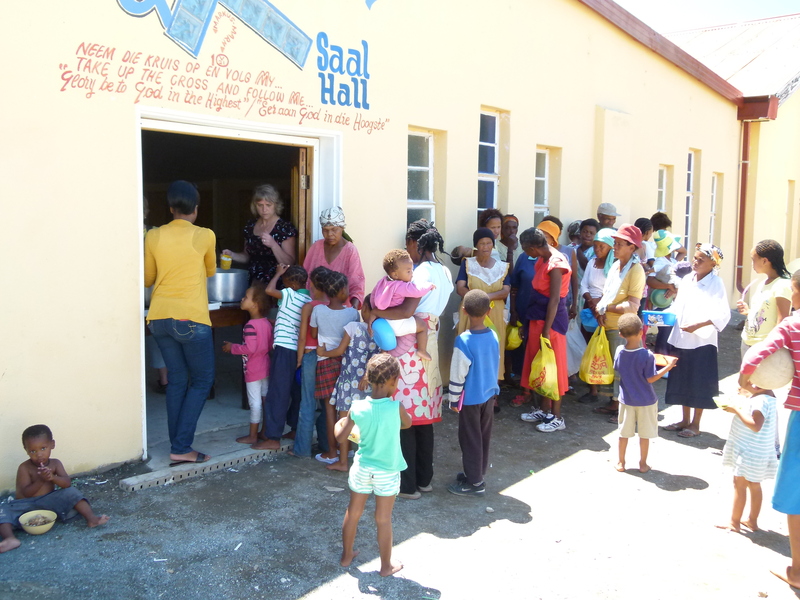 Since October, 2005, as a Sister Church to Evaton Noord, Seattle First Christian Reforme d Church has generated funds to provide a hot meal to 75-100 children after church each Sunday at the nominal cost of less than 75 cents per child. And beginning in October, 2012, as a Sister Church to Maranatha and Hilton, North Point Church in Poulsbo, Washington has provided resources to both churches for hot meals, bi-monthly food parcels for their poorest families, and bi-weekly soup delivery. 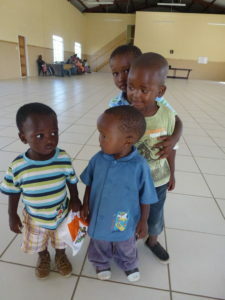 This partnership between Champions, churches and children exemplifies Side by Side’s vision. When partnerships are committed to a common cause, everyone wins, and children are given the chance of a brighter future. Clean water in a critical need in South Africa. 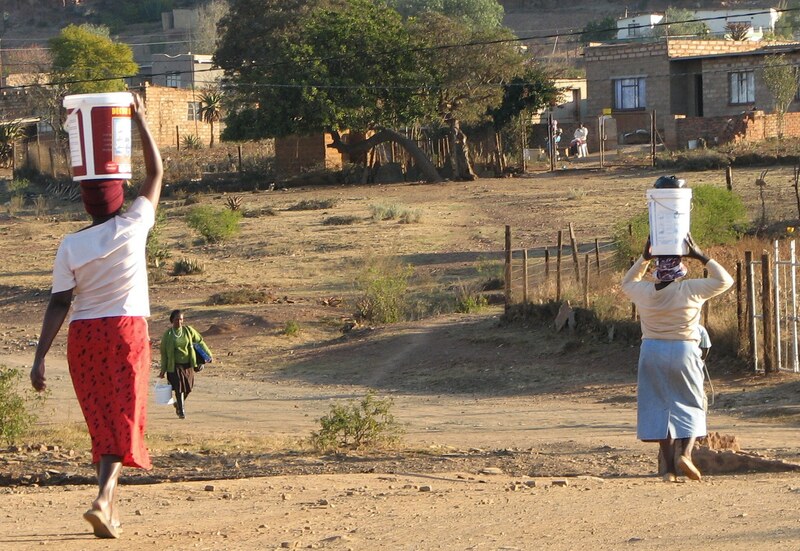 So when Side by Side visited the rural township of Kgautswane in July of 2007, we were excited to learn about the existence of an old distribution system, that while in disrepair, was well-designed, and if operable, would deliver clean water to hydrants within 200 meters of each home in this village of 7,000 people. 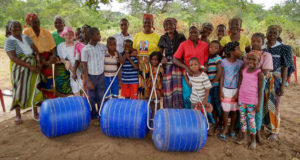 However, because the water system was broken, the women of the village had to carry water to their homes from a small spring of water collecting in an otherwise dry river bed. After four years and countless hours of collaboration by Side by Side, local citizens, the local URCSA church and other key players in South Africa, the local municipality finally agreed to fund the entire renovation project. The prayer for clean water for these 7,000 people has been answered; a small church delivered for its community, and is strengthened by the fact that it can be a successful advocate for change on behalf of its people and the community it serves. 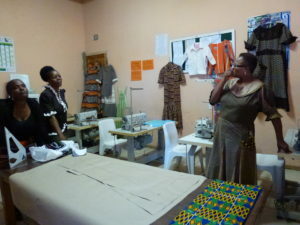 Many women in South Africa are unemployed, but are skilled at pattern-making and sewing. 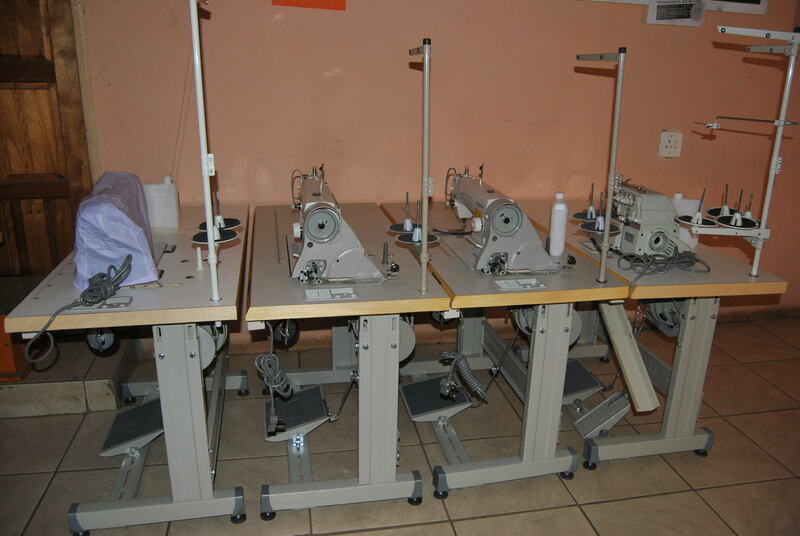 Sewing programs are a way for them to make clothing and other household items for resale, thereby earning them a small income. 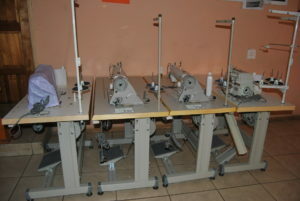 In 2006 and again in 2011, Side by Side provided funds for purchase of commercial sewing machines for Evaton Noord and Maranatha. In the photo below, the women at Maranatha are making choir vests for their sister church, North Point, in Poulsbo, Washington. 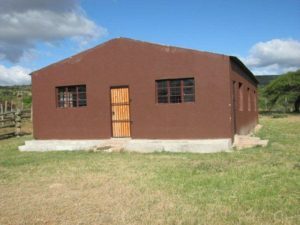 Side by Side helped get this facility and its ministry underway by providing funds to fence the property, build the toilet, purchase some furnishings, and for the food program’s first year of operation. 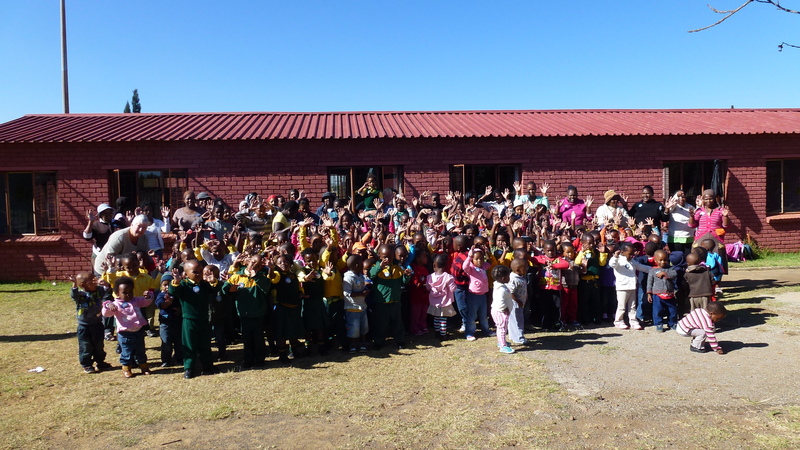 A minimal amount of the funding was used for some playground equipment as well. 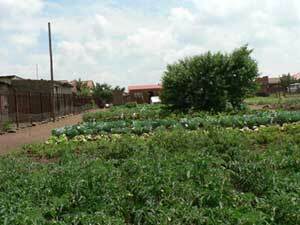 To supplement their diets and income, some of the poorest families of Evaton Noord are provided a small garden plot to raise vegetables. Side by Side partners provided funds for fencing, a caretaker’s home (for security), and the tools and equipment. The families do all the work. 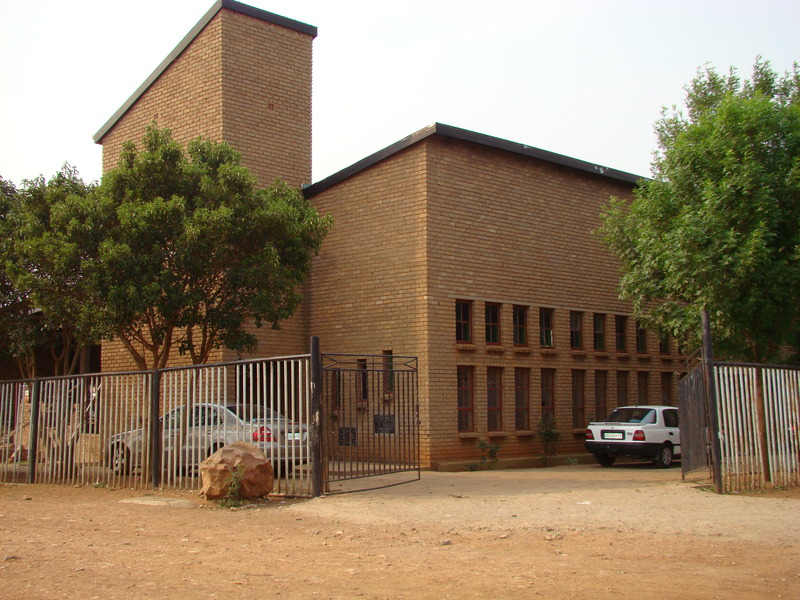 In 2009, Side by Side partnered with the Maranatha Uniting Reformed Church (URCSA) in Sebokeng and the Driehoek Dutch Reformed Church in Vanderbijlpark (both south of Johannesburg), to expand Maranatha’s church facility by adding a large addition that serves as a community center for this growing congregation. Maranatha is a vibrant church serving in a difficult settlement area where jobless rates approach 90%. As with most other URCSA churches, Maranatha is significantly active in service to their community. Often they are the only safety net for people in desperate straights. 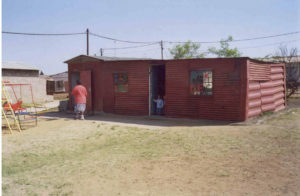 Services they provide, in addition to the traditional worship and diaconal functions, include crime prevention initiatives, HIV/AIDS ministry, senior citizens services, substance abuse training, meals for kids afterschool, tutoring, outreach, a crèche, food parcel delivery for the poorest of the poor, and a variety of youth programs. As they serve, they grow. 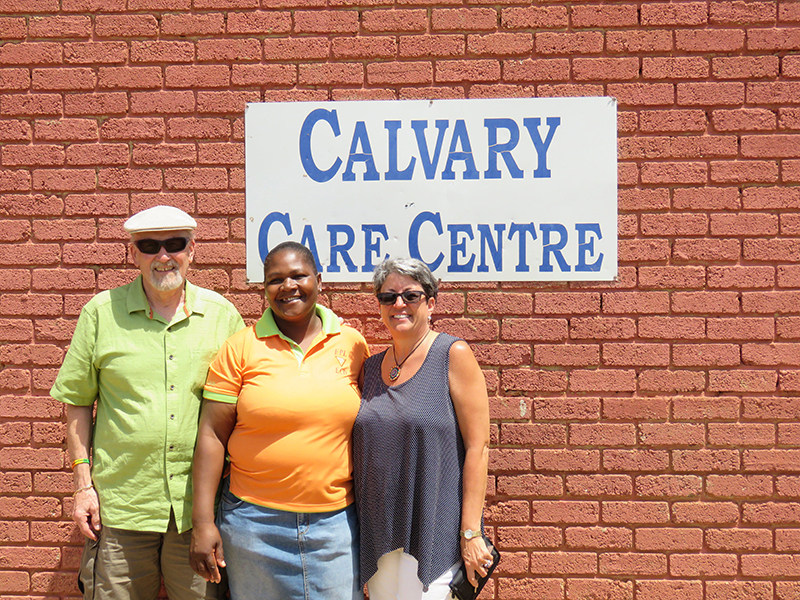 The Heilbron Uniting Reformed Church has a new home, replacing a 15′ x 25′ metal shack. 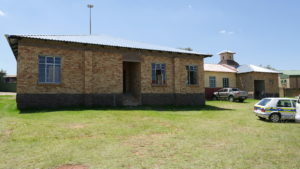 The campus, which was officially opened in April, 2013, includes the main multipurpose/church building (which has two classrooms for a daycare, a council room, a kitchen, and a large meeting room), toilet facilities, and pastor’s home. 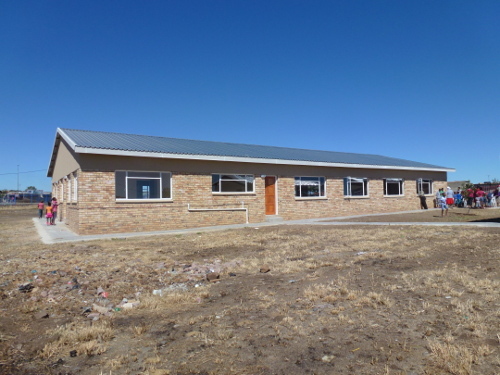 After 3 1/2 years of work to get this project underway, construction was completed on a new center for Maranatha’s “daughter” church, Klipkop. 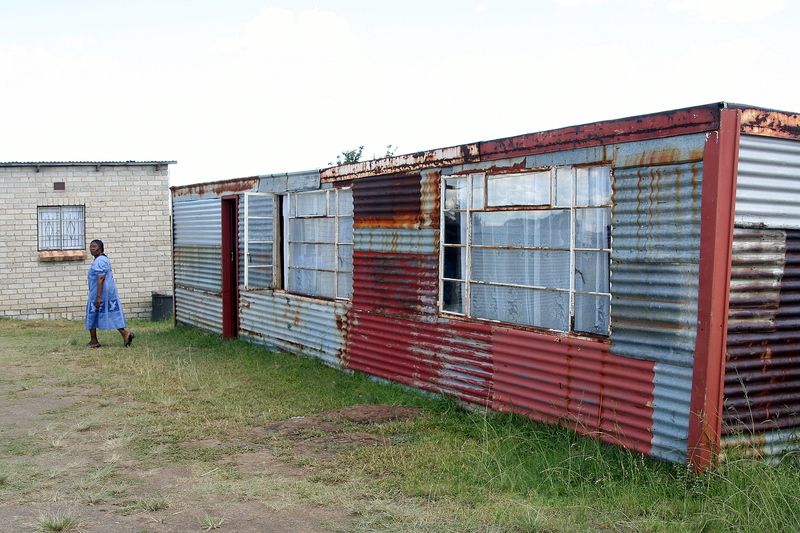 Gone is the 12′ x 15′ corrugated shack. 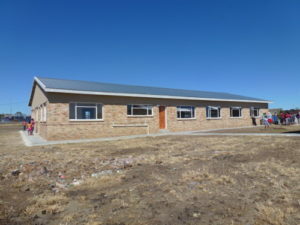 In its place is a new building which includes a kitchen, two classrooms downstairs for a daycare, two classrooms upstairs for church leadership meetings and other training, and a large auditorium where community meals can be served, and worship and other community gatherings held. 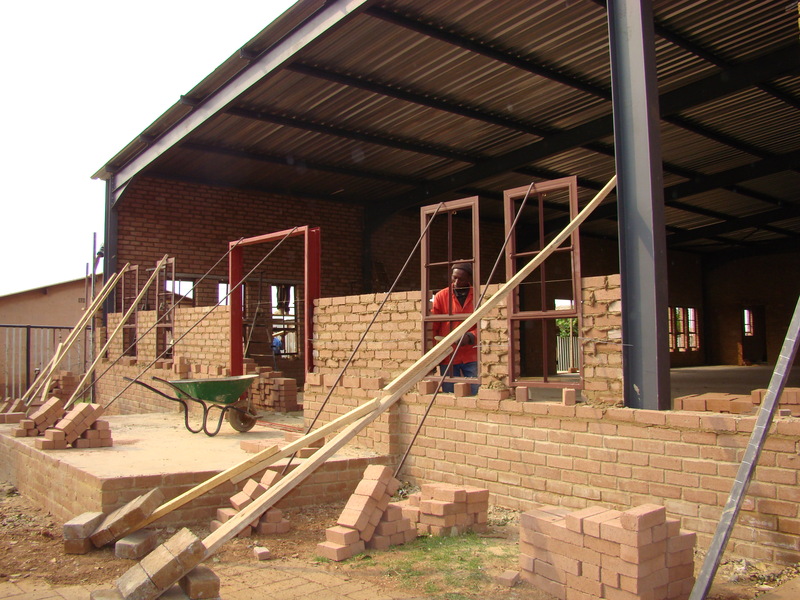 All the brick and concrete were donated by Conframat, a brick-making company owned by a member of Driehoek Dutch Reformed Church. 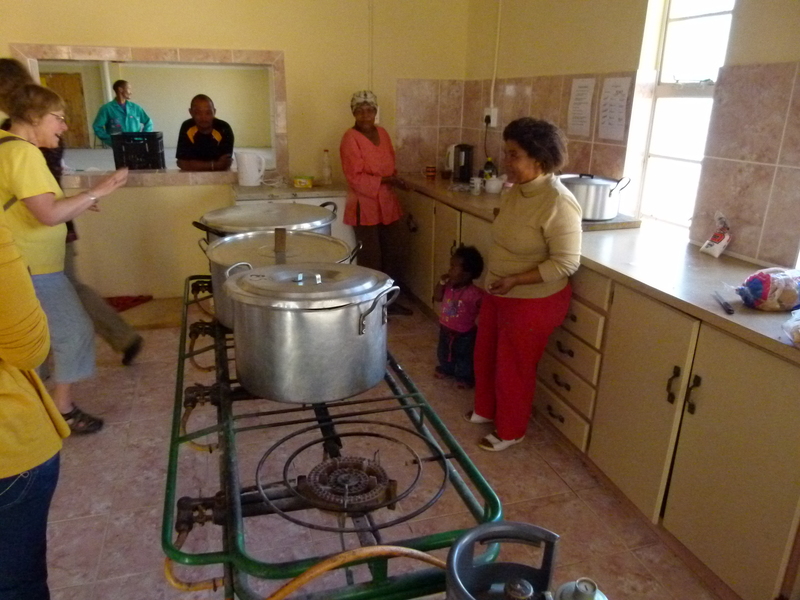 Thanks also to the Driehoek Dutch Reformed Church for their contribution of many interior furnishings and fixtures. 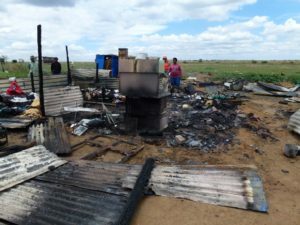 The Radebe family had just lost everything they owned. Fire is one of the biggest risks in an impoverished settlement because people cook and heat with paraffin and wood. Water taps are few and far between, and the fire department often does not come. Standing in the smoldering ruins, a plan began to take shape. 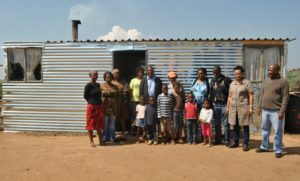 Some men of the local township volunteered to build a new home with building materials that Side by Side supplied, and Maranatha Church, a local congregation, partnered with us to help replace what the family had lost. Two days later the Redebe’s moved into their new home – and this time they had a solid floor!